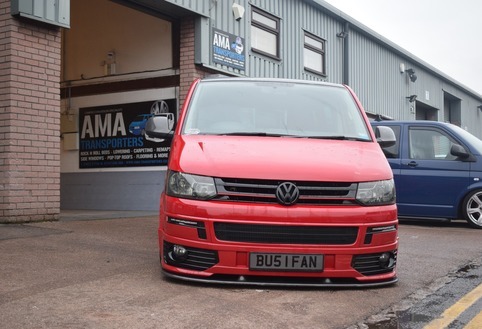 Rick came to us to have his factory Kombi lined and turned into a Caravelle. 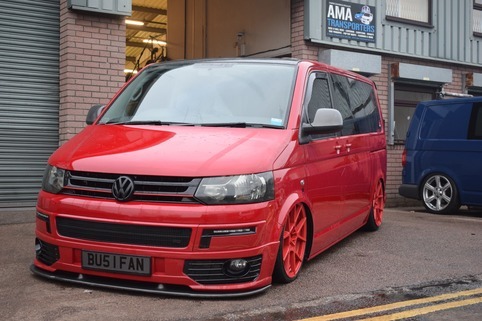 At this first visit the van was lowered on coil overs (I have photos which we use to blackmail Rick) now after lots & lots of hard work by somebody else its low on air. 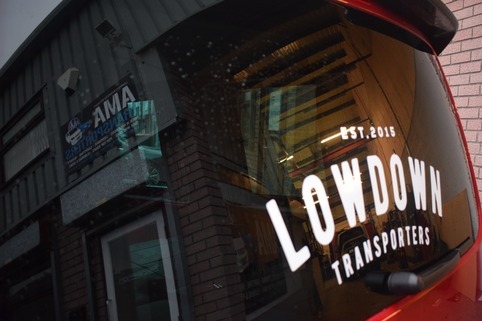 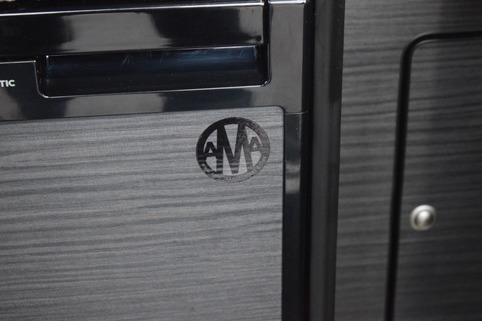 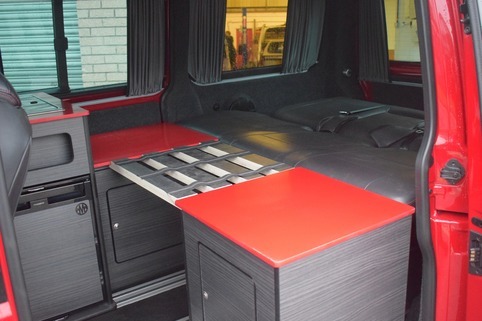 Since the first visit we've had the van back a few times for various different jobs including night heater, leisure battery and engine remap among others we recently had it in for a new removable camper system which uses the fitted Caravelle rails. 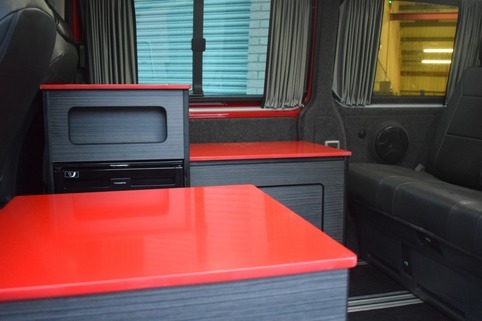 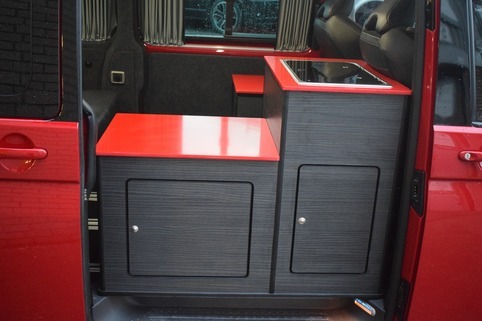 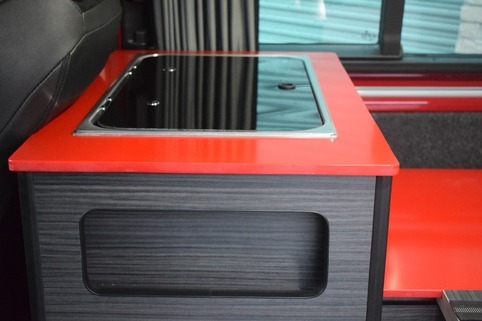 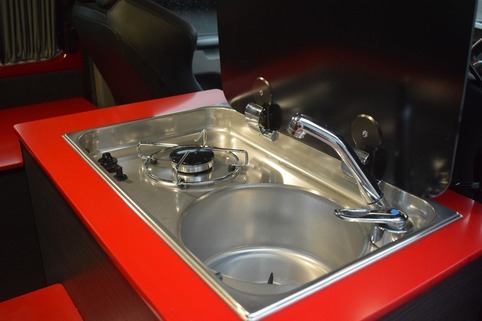 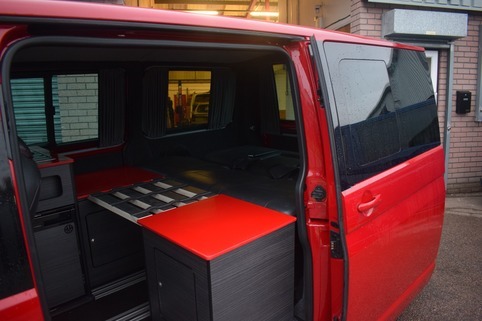 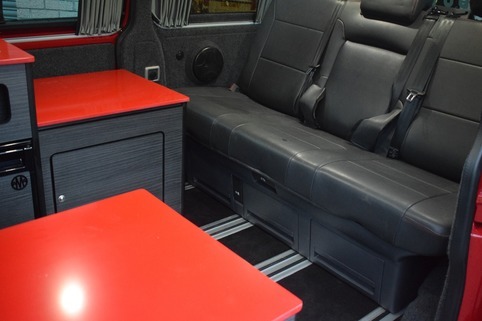 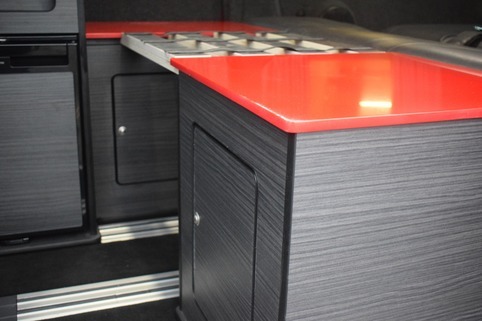 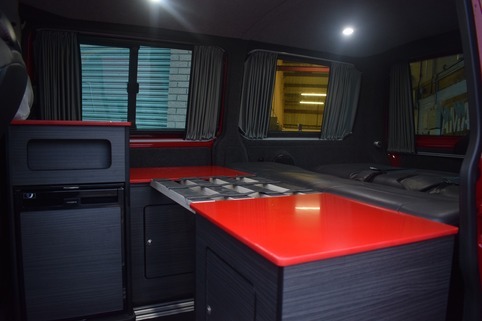 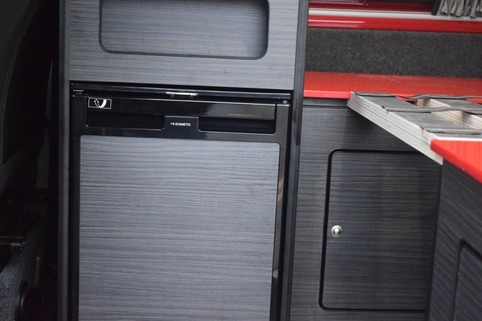 For the camper cabinets Rick made the brave but excellent choice of Bright Red Samsung worktop with black Hacienda woodwork.